Holiday season is in full swing and that means it’s time to start the hustle of finding the perfect gift for each of your loved ones. Keep the stress to a minimum and give the gift of travel this year! We’ve made it simple by offering Enchanted Travel gift cards. Our holiday gift cards are available now in any dollar amount. Still not sure if your loved one would appreciate the gift of travel? Here are five reasons that the gift of travel should be high on your list. It’s important to remember that some of the best gifts don’t come in huge packages under the Christmas tree. We think the best kind of gift is one that creates lifelong memories. Think back to some of your greatest memories and stories – I bet many of them involve a family vacation or a weekend getaway with your significant other. Don’t you wish you could bottle that intangible up and wrap it in a bow? Now you can! Whether you are gifting travel to a friend for their honeymoon, or gifting it to your parents for a future family trip, the sentiment will not be lost on the receiver. Now you will be an integral part of their lifelong memories for years to come. That means you can gift them now and your loved one can use it 6 months or five years from now. This makes the gift of travel the perfect option for your family and friends with busy schedules. 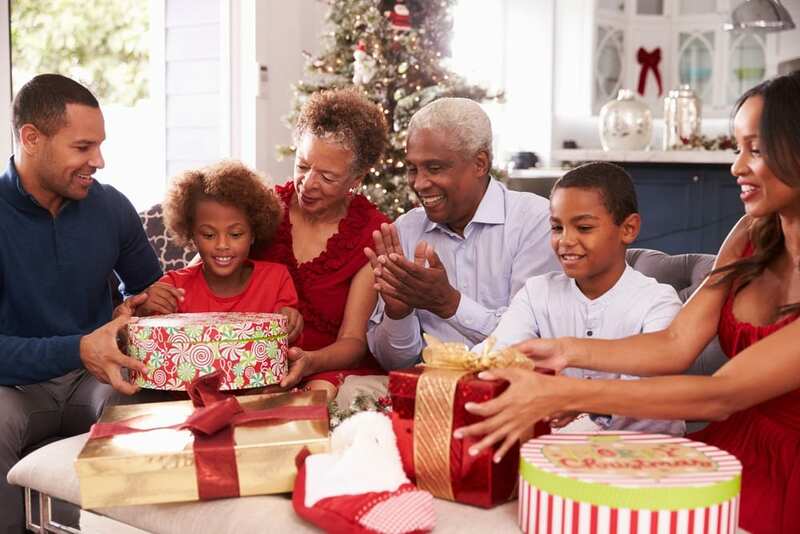 They’ll be ecstatic to open their Enchanted Travel gift card on Christmas morning, then the excitement will continue as they begin to brainstorm and plan their future trip! Our holiday gift cards are available in any dollar amount you choose, making it a great option for sticking to your holiday gift budget. In addition, travel itself has many options available to fit a variety of budgets. That means the gift of travel is perfect for that family member on a strict budget and for that friend who has everything – including a large bank account! The added bonus of gifting our holiday gift cards to your friends or family is that they automatically have our team of Enchanted Travel experts on their side to help them choose the right destination and resort for their budget. That means you are gifting them a stress-free and flexible travel-planning experience. Our gift cards work exactly like cash and never expire. We don’t charge you any fees and once purchased, they are yours to gift as you see fit. Our gift cards come with no restrictions or “fine print” rules. They are convenient for sending to your long-distance friend because you can avoid hefty shipping fees. Just pop it in a card, drop it in the mail, and you’re done! These also make great stocking stuffers Stop in our office to purchase and pick up your gift cards or call us and we can send them to your loved one on your behalf. You’ll be hard pressed to find another gift that relieves stress, boosts creativity, and strengthens the mind. Experiencing a new culture and environment improves cognitive flexibility and enhances “depth and integrativeness of thought”, according to Conde Nast Traveler. In addition, according to CNN, people who travel for pleasure regularly experience less stress, a reduced risk of heart disease, a better outlook on life, and more motivation to achieve your goals. This is just another example that shows how the gift of travel is truly the gift that keeps on giving. Lasting memories, improved health, and less stress. What more could you ask for? Call us today to order your holiday gift cards at 402-281-3022.